They may be the lucky owners of dream boats but, at the same time, they're also captains of industry: those top executives, entrepreneurs, magnates, in other words that élite group of business people whose operating requirements, even when it comes to transport, lead to exclusive choices, mainly because these can be highly personalized and tailored to their mobility requirements. For them, the privilege of using charter services with "executive flights", able to move them between airports is a real necessity which not even the most modern communication systems can quell. For them, Bombardier Aerospace has expanded the supply of European services with the launch of Skyjet Europe, the first charter for "Occupied Hours" business flights, on a world-wide level. This is an absolute novelty for the sector, considering that, in contrast to other charter services in Europe, the Bombardier Skyjet customers pay an hourly rate only for actual flying hours, without added costs for the positioning of the aircraft. 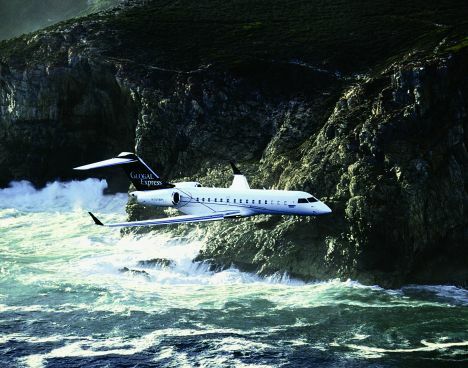 This interesting offer will run alongside a developed programme "Jet Membership of Flexjet Europe", again from Bombardier Skyjet Europe, which has been created to guarantee increased flexibility and maximum personalization for each single flight. With this formula customers can book a "Business Jet" and within 4pm of the day before departure they have a guaranteed choice of aircraft, so they can select the one that is most suitable for their travel requirements and the estimated budget. In addition, again without any added cost or forfeit, at the time of booking customers are no longer obliged to commit themselves to specific deals such as "one way", "same day" or "buy the day", since also in this case they only pay for the actual trip. A minimum of 25 flying hours can be bought annually, and these can be used as desired for 500 different European destinations, using one of 50 Bombardier aeroplanes which form part of the Bombardier Skyjet fleet, for 24 hours a day, 7 days a week. Thus, in contrast to other formulas which require at least part ownership of the aircraft, customers only buy guaranteed flying hours. In this way the costs connected to "Jet Membership" will appear in the balance sheet as travel expenses rather than capitalised costs. Further information on these services are on Internet, at the following addresses www.skyjeteurope.com, www.flexjeteurope.com or by telephone to numbers +39 06 35072404 +39 329 6640030, Please ask for Mr Giorgio Russo.